Observation - Greater Knapweed - UK and Ireland. Description: A variant of Greater Knapweed. The flowers are usually a vibrant purple but this specimen was very pale in comparison. 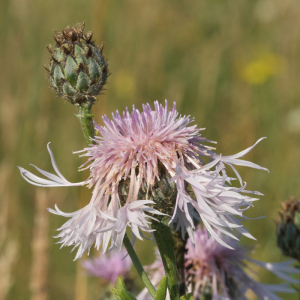 A variant of Greater Knapweed. The flowers are usually a vibrant purple but this specimen was very pale in comparison.